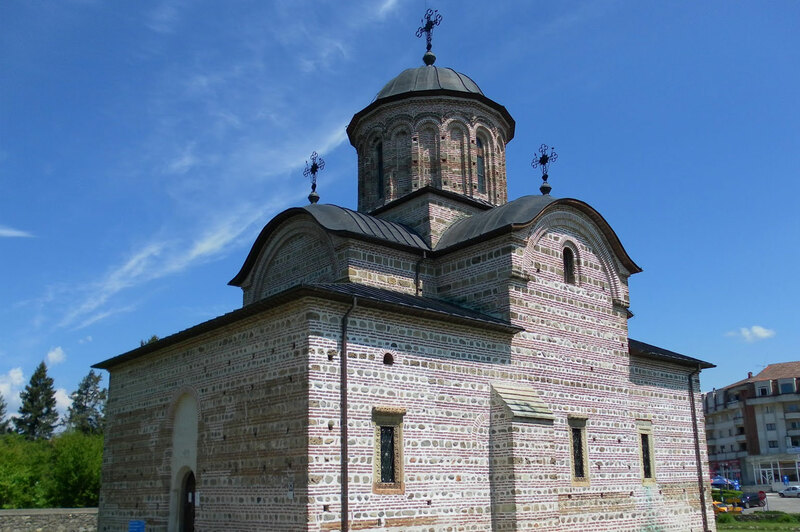 The Royal Church of Curtea de Arges was build by Basarab I (1310 – 1352) in 1352, at the princely residence. 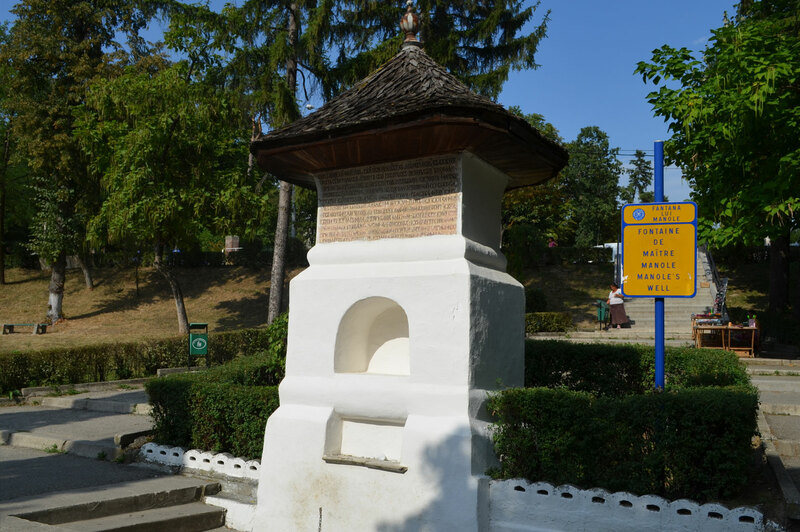 The church, build in the shape of a complex greek cross, is one of the most representative monuments of medieval Romanian architecture and the oldest princely foundation in Tara Romaneasca. 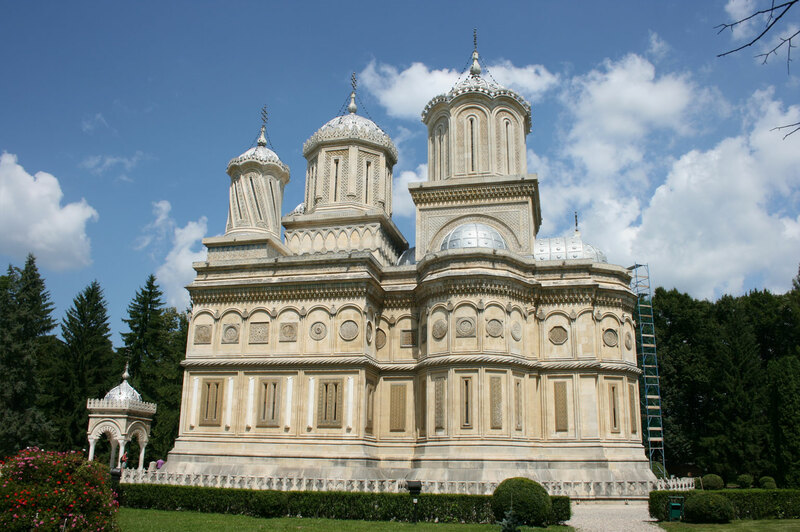 The monastery was build by Neagoe Basarab (1512 – 1517) in order to replace and older church dating from 1359. The interior painting, done by the painter Dobromir, was completed in 1526, during the reign of Radu from Afumati. Repaired several times, the church was restored (1875 – 1886) by French architect Andre Lecomte du Nouy, disciple of Eugene Viollet-le-Duc, who brought some changes that have diminished the historical value of the monument. Neben dem Kloster befindet sich die Quelle von Master Manole, der legendäre Erbauer der Kirche und der Held vieler lokalen Balladen. Um den Bau des Klosters rankt sich eine Legende: Um einen erneuten Einsturz der Mauern zu verhindern, opferte der Baumeister seine Frau und mauerte sie bei lebendigem Leib ein – bevor er sich vom Dach des Gebäudes stürzte. In dem Ort, wo er landete, erschien eine Quelle, der so genannte Brunner von Master Manole. 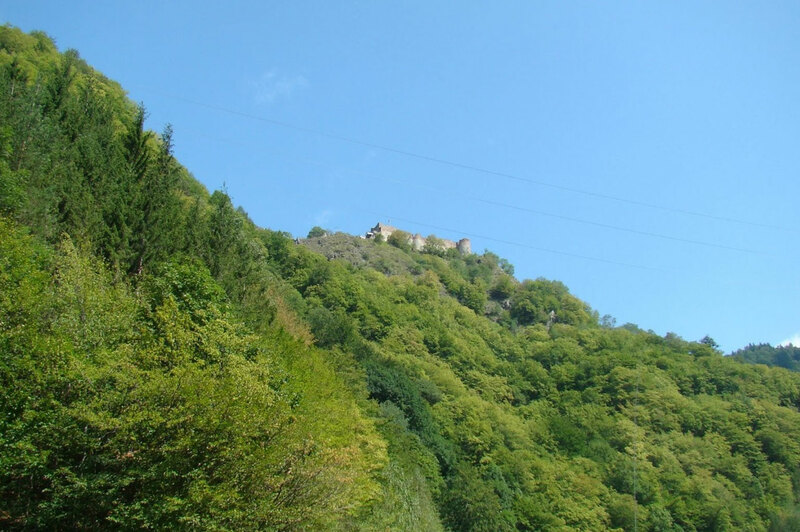 The Poienari fortress is situated on a steep peak, into the Arges gorge. The citadel dates back to the beginning of the fourteenth century, and it was rebuilt by Prince Vlad Tepes the middle of the fifteenth century. Build as a fortress against the Ottomans, it was used maily as a secondary residence for Vlad the Impaler. It has an elongated shape with five towers, four round and one prismatic. The walls are 3.2 meters thick.